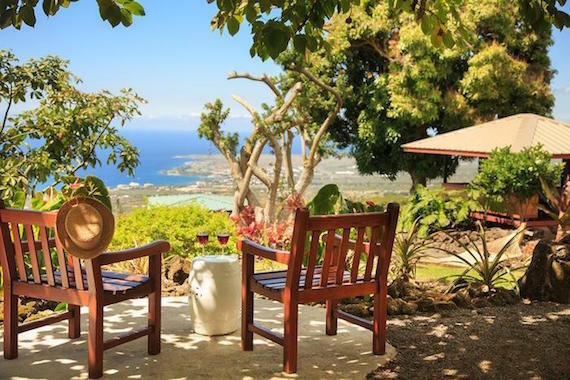 If you are pining for one hundred hours of solitude like us, we rounded up five historic destinations where you can relax in absolute peace, luxury and privacy where no one can find you and you don't have to lift a finger. Meggen & Peter Lane Taylor are the founders of FindEverythingHistoric.com and are lovers of all things retro, vintage, and classic. One of my favorite books in college was Gabriel Garcia Marquez's 100 Years Of Solitude. That's a lie actually. I never read it thoroughly, which is probably why I got a C in international literature that semester (I was skiing a lot). I just loved the name -- something about it at that time in my life was inherently soothing. I found my dog-eared copy of Marquez's novel this past week while putting some boxes of old books into storage, which got me thinking about the need for true decompression. So, if you are pining for one hundred hours of solitude like us, we rounded up five historic destinations where you can relax in absolute peace, luxury and privacy where no one can find you and you don't have to lift a finger. Depending on where you live "property" comes in many sizes. In Manhattan you're living like a king with anything more than 1000 square feet. If you live in rural Wyoming, you're tight with your neighbors with less than 1000 acres. 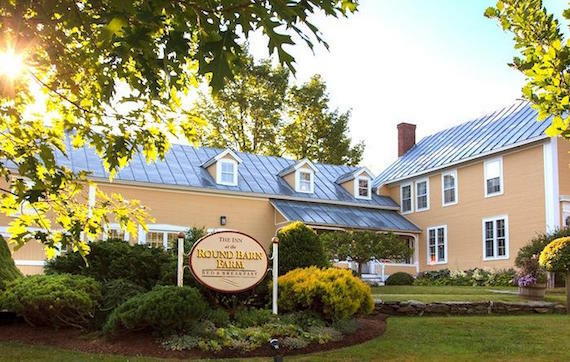 In Vermont, as soon as you travel outside of the major "cities" of Burlington and the capitol Montpelier, a couple hundred acres isn't atypical -- which is exactly why The Inn at Round Barn Farm is quintessential Vermont and the epitome of solitude and luxury. Surrounded by 250 bucolic acres, rolling Green Mountain views, flower-filled meadows and perennial gardens, and direct access to hiking trails, this historic Vermont bed and breakfast offers guests throw-back farmhouse-chic accommodations in the main property built in 1810 as well as a nearby c. 1910 horse barn that has been recently converted. In the spring, summer and fall, Vermont's legendary fly-fishing, river rafting, hiking, biking, and foliage are right out your back door. In the winter you can slam the un-groomed powder of Mad River Glen, one of the most historic ski resorts in the United States. Whatever the season you can indulge yourself in heavenly Tempurpedic mattresses, steam showers, whirlpool tubs, a gourmet farm-to-table breakfast, and the sound of absolutely nothing all day long. Everyone has a bucket list. Hawaii has been on ours for over two decades. There's no other place where you can ride a 20′ wave, walk the rim of an active volcano, and dive a virgin coral reef all in the same weekend -- all with the same passport that gets you to Cleveland. 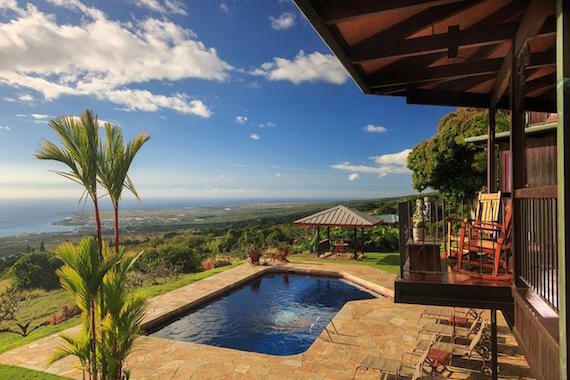 Located on the mountainous slopes of the Big Island with elevated, cobalt ocean views, Holualoa Inn defines the authentic Hawai'ian experience offering you a once-in-a-lifetime ability to relax and recharge amid a working coffee plantation estate, rich pastureland, and lush tropical gardens buzzing with native birds and butterflies. Our favorite activity on the menu here is the option to do absolutely nothing. Sleep late. Sip a cup of inn-grown coffee in your private outdoor hot tub to start you day. Roll into an after-breakfast stroll through the plantation grounds. Read. Listen to the wind off the Pacific. Eat. Nap after lunch. Sunbathe. Watch the sunset from your hot tub. Eat. Repeat. When your informal slogan is 'Do it all or nothing' you know you have the perfect recipe for isolation and solitude. Blisswood Bed & Breakfast Ranch is a throw-back Old Texas experience hidden on a six-hundred and fifty acre working ranch property an hour outside of Houston, offering guests the rare opportunity to unplug and unwind under the quiet shade of majestic oaks surrounded by your own private game preserve of horses, Angus cattle, alpaca, camels, peacocks, black buck antelope, and American Bison. 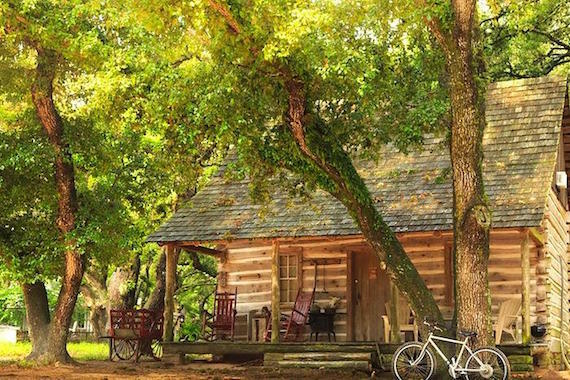 Ten ranch-chic cottages and cabins offer luxurious, Texas-style accommodations each decorated in its own unique combination of antiques and modern design elements, and offering utter and total privacy from its neighbors. A complimentary breakfast is delivered to your cabin each morning that includes coffee, tea, bagels and cream cheese, muffins, yogurt, fresh fruit, juice, and granola bars. All of which will fuel you up for your next activity -- doing absolutely nothing. If you do end feeling a twinge of ambition, you can bass fish in the stocked lakes that abound on the property, horseback ride, picnic overlooking the Enchanted Lake, or take a midnight stroll through the meadows and moonbeams. 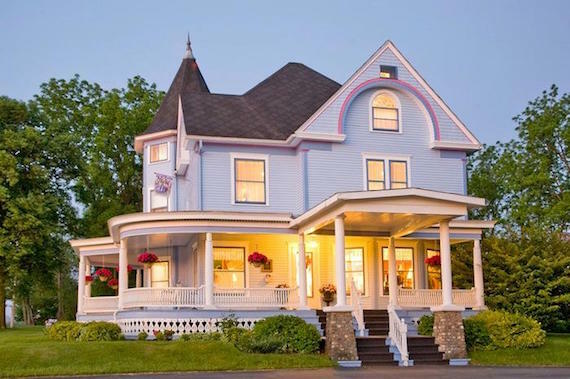 Castle in the Country Bed & Breakfast Inn is one of the most secluded and romantic Michigan getaway destinations ensconced on a sixty-five acre private estate close to Lake Michigan and the Upper Peninsula wilderness areas. This Queen Anne Victorian property drips with historic charm while providing guests the opportunity to unhinge in modern luxury and privacy with access to kayaking, canoeing, and hiking whenever the urge arises. The Castle Inn's on-site private spa offers extra pampering including couple's massages, pedicures, manicures, and facials in a tranquil oasis that is completely devoid of any possible intrusion. There is something alluring about the deep-rooted history of the Delaware River Valley. George Washington crossed the Delaware River here during the Revolutionary War to turn the tide on the British. The Declaration of Independence and Bill Of Rights were both signed just south of here in Philadelphia. It's not uncommon to have a gourmet dinner today on a winding country road in an obscure tavern that's been in operation for over two-hundred and fifty years. 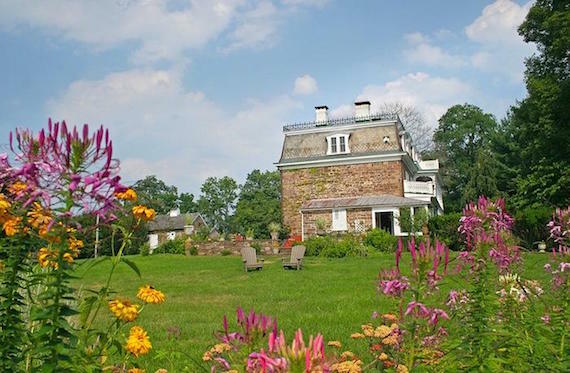 Built in 1792 and perched high above the Delaware River, the Woolverton Inn puts you in the heart of one of the most historic places in America, while offering the ultimate in privacy and luxury on ten secluded acres surrounded by three-hundred acres of protected farmland and forest that will ensure perpetual tranquility and seclusion. If the peace and quiet gets to you, indulge yourself in the farm-to-table restaurants, galleries, antiques and other locally-owned shopping in New Hope, Pennsylvania and Lambertville, New Jersey, which are annually ranked among the most charming, historic river towns in America. On a final note, I didn't put Marquez' novel back into storage. It's staying out this time and I am finally going to read it start to finish. It might take one hundred years though. Disclosure: All of these historic destinations and many more can be found on our website.